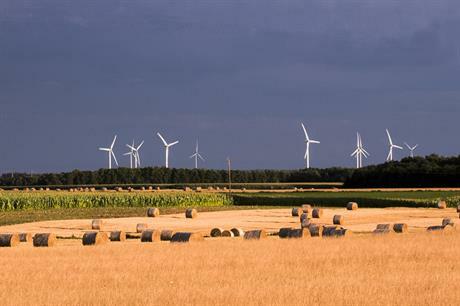 FRANCE: Crowdlending, where private individuals lend money to a particular project and earn interest, has been gaining popularity in France's wind sector since the practice was permitted in 2014. The loans only represent a tiny proportion of the total investment, but the idea is to allow people, especially those living nearby, to benefit financially from wind farms. The loans have to be made via an authorised internet platform. There are four in France that focus on renewables: Lumo, Lendosphere, GreenChannel and Enerfip. Each offers slightly different terms, and there are some limits on how much individuals can lend and for how long. From 1 October developers will be able to borrow up to €2.5 million a year in certain cases, said Reid Feldman, a partner at law firm Kramer Levin Naftalis & Frankel. Yet the main driver for the borrower is not financial. While the money raised helps release capital for other uses, most developers will already have finance in place. Instead, they see crowdlending as a way to involve local citizens. When people become involved in financing "their" project, it "allows them to take ownership and become an engine of development of the project, not a spectator", a spokesperson for developer ABO Wind said. This can help gain public approval and reveal a level of support that might not otherwise be evident. Crowdlending also has an important educational role, allowing "the transfer of knowledge between the developer and the investor", stressed Mathieu Dancre, founder of GreenChannel, a subsidiary of French firm Engie. Meanwhile, local authorities increasingly see crowdlending as "very important for good project development", said Laura Verhaeghe, co-founder of Lendosphere said, which has raised nearly EUR6 million in 27 funding campaigns for wind projects. With interest rates of 3-10%, considerably above standard savings accounts, the success of crowdlending is not surprising. Borrowers and projects are carefully vetted and there have been no failures so far. However, loans are not guaranteed and payments may be affected, for example, if generated power is less than expected. Lending to refinance an installation or construct a permitted project, where the parent company, not the project company, is the borrower, should be relatively low risk. Also, because the developers want to build public confidence, it is unlikely they would default. "Any blemish on their record could have very serious consequences on their future activity," Feldman pointed out. In the meantime, the market is evolving as big players such as EDF Energies Nouvelles, which has now run three successful campaigns, join the scene and borrowers seek loans for preliminary studies as well as later, more secure stages. "There is a lot of energy in the sector," Feldman added, while Thomas Verhaege of developer Innovent has high expectations. "We hope in future to be able to raise all the money from private investors," he said.